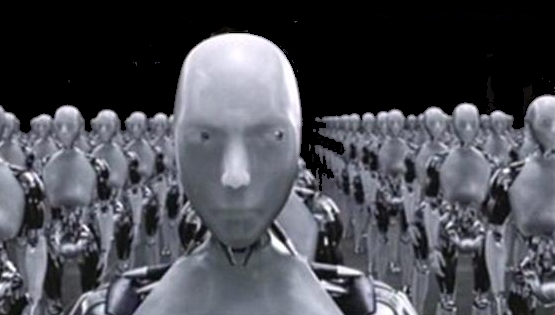 a virtual or mechanical artificial agent. In practice, it is usually an electro-mechanical machine which is guided by computer or electronic programming, and is thus able to do tasks on its own. 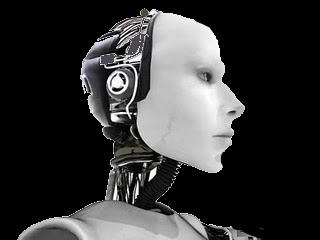 Another common characteristic is that by its appearance or movements, a robot often conveys a sense that it has intent or agency of its own. If the doorman is primarily a irrelevant and redundant data discarding mechanism. and the right mind is primarily a data storage and collating mechanism. Is all that is happening is that we are using writing instead of connectness? Is writing, in fact, what civilization is? Does writing make the right mind redundant? Have we made a society of screedbots? I could go so many directions with this, I don’t know where to begin. At the least I have a new word for idiot, the screedbot. Oops! There goes your ouija pusher again, Mr. Johnny! to check out whether one is oneself a screedbot or if one has been bitten by a screedbot, go to am i a screedbot? This entry was posted on September 2, 2010 at 8:18 pm and is filed under The Minds with tags connectedness, right mind, screedbot, society, writing. You can follow any responses to this entry through the RSS 2.0 feed. You can leave a response, or trackback from your own site. the ‘screedbot’ provides a fitting definition for a King or President (they give the impression that ‘they have intent or agency of their own’ (the buck stops/starts here) as in your description of ‘robot’ and they are always delivering ‘screed’. where they get their programming from doesn’t really change their ‘screedbot’ status (it could be a thinktank, a wife who is psychic, a ouija board or whatever. bitten by a screedbot, i like that, a mechanistic, mental pathogen. good analysis also, i’m gonna insert the link in the post. knowing how to drive a car and understanding how to build one are wholly different. Physicists know how to analyze the universe (calculus) but do not understand how it came to be.